Welcome to the web site of Doradca Consultants Ltd. from Gdynia, one of the oldest and the most renowned consulting companies in Poland. 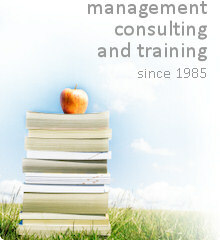 We are a management consulting company, with a wide range of consultancy and training products. Doradca assists its clients since 1985; in total, we have carried out more than three thousand consulting assignments in this timespan. Our company is quite old, according to Polish (and probably also international) standards - nothing strange that it has got its own daughter company, Doradca Auditors. Easy to guess: they deal with the verification of financial statements. In addition - with accounting and financial advisory and training. Since 2005 we are a member of a European network of management consulting companies - E-I Consulting Group, thus gaining an access to international expertise and resources. With regard to legal and tax advisory we cooperate closely with our key partners - Halon & Kucharski and KPNP Legal Office. We recommend their services!